East Haddon Grange Country Cottages offer a rare blend of relaxation and escape. Our four traditional stone cottages converted from an 18th century grain barn are part of a working farm set in acres of stunning countryside. 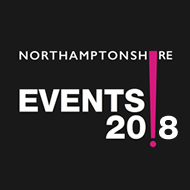 They are conveniently situated only half a mile from Althorp, 15 minutes from the M1 and Northampton and easy reach of many places of interest. The cottages are beautifully decorated and fully equipped plus all have broadband internet connection. Available all year round they are perfect for holidays or longer stays for business house moves and renovations. Everyone and their pets welcome.